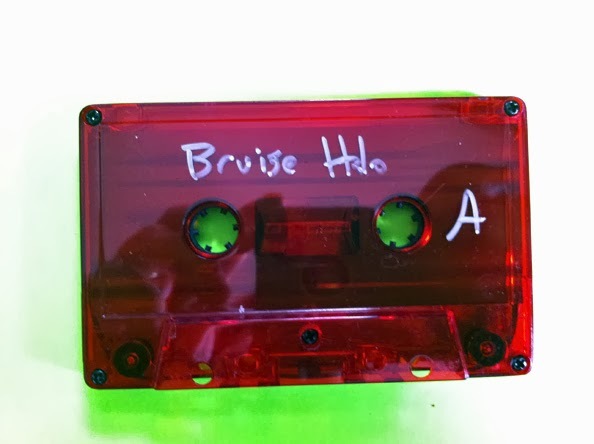 The story of Bruise Halo really seems to be divided, as the first side of this tape does differ from the second if only by the spoken word bits. On the first side, we begin with a piano piece, an alarm beeping and the distorted drone or even dredge version of a band such as Volcano, I’m Still Excited!!. Eventually, the first side does kick in pretty heavily. It becomes pounding, pulsating and it just continues to build. 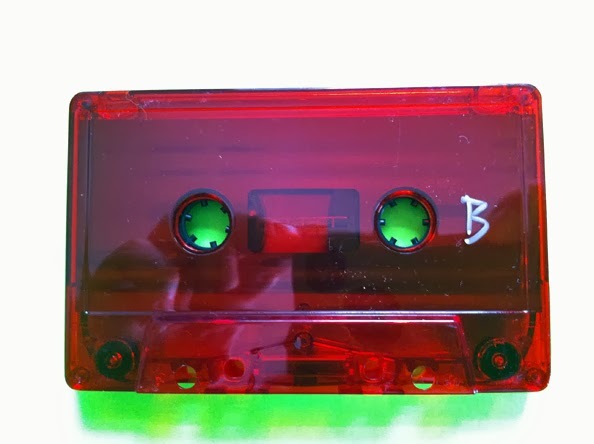 The second side has somewhat similar musical characteristics, but it brings forth a spoken word clip that I’m not certain if was merely audio pulled from the news or the such or something that Bruise Halo is speaking from experience in that way. 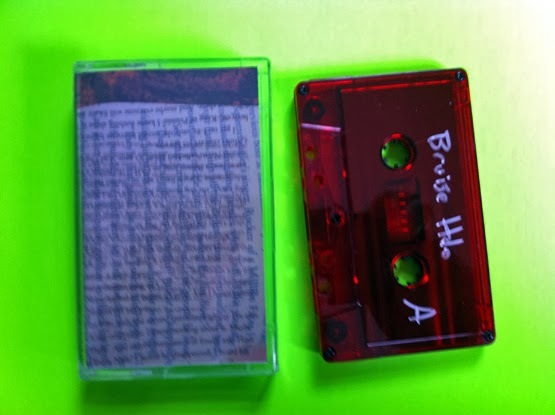 The audio clip is interesting either way, as it is the story of a man who goes to Texas and finds God. Some sections are repeated, sure, and at other times this also becomes less audible, especially with the static. 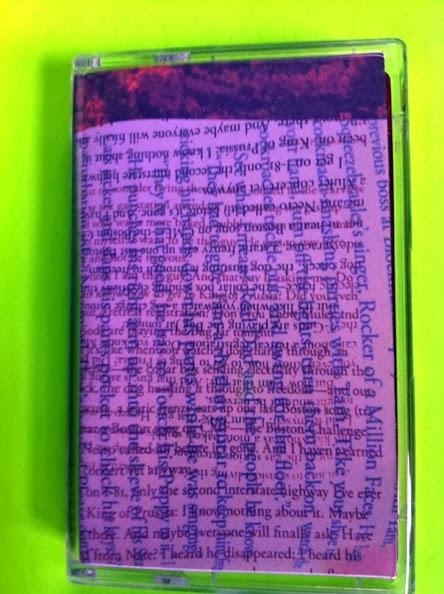 This is a good bit of destructive noise and the second side likes to tell you about religion, so really it’s not something you could ask for too much more from because the words being spoken on Side B will at least start some conversations if only in your own mind.